The focus of S & S Woodworking is to build high quality custom cabinets specializing in kitchen cabinets, bathroom cabinets, built-in and standalone custom bookcases. Custom cabinets will add beauty and greater functionality to any area of your home or office space. 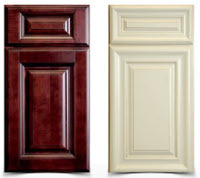 The goal of S & S Woodworking is to provide custom cabinets and woodworking at affordable prices. It is important to note that affordable pricing does not indicate any lack of craftsmanship, but rather, it is a point of pride knowing that a S & S Woodworking product can find a place in your home or office space. Looking to upgrade your cabinets with a fresh look, then let S & S Woodworking help with your cabinet refacing project with new cabinet doors and drawer fronts. Kitchen cabinet doors are often the single most important factor for the look and feel you are trying to express in your cabinets. S & S Woodworking currently serves and installs custom cabinets in the Biloxi, Gulfport, Ocean Springs, and surounding areas of Southern Mississippi. Items can be delivered via freight trucking in the continental United States. S & S Woodworking now offers CNC wood milling services for small and medium sized woodworking projects. 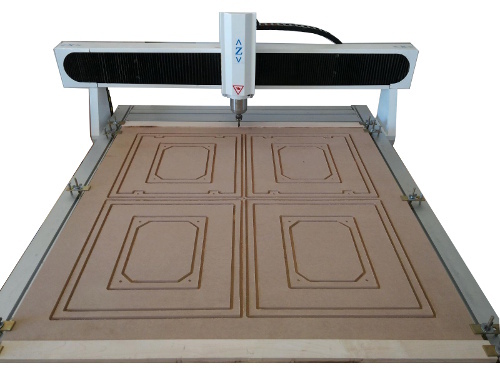 We can support 48 inch by 48 inch projects on our half sheet CNC table. Longer projects are possible by routing the item in sections. Check out the sign we did for a wedding reception. This cypress piece is 1 1/2 inch thich by 7 inches tall and 88 inches long with black walnut stain inside the routed letters. We offer rough hardwood lumber in a variety of wood species surfaced on 2 sides (S2S) milled to 13/16 inch with straight-line rip on one edge. All hardwood lumber is sold by the board foot with a minimum order of 5 board feet. Project packs are available in 5, 10, 20, and 40 board feet bundles. Each hardwood lumber bundle consists of boards with widths of 4 inches and wider and lengths of 30 to 58 inches. S & S Woodworking is now a distributor of Forevermark kitchen cabinets.